This season features a new host, with Anele Mdoda replacing Lungile Radu. 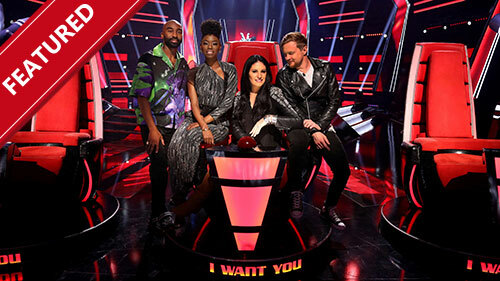 There is also a new panel of coaches: rapper Riky Rick, singer-songwriter Riana Nel, Afro-soul singer Lira (the only surviving cast member from the first two seasons) and alternative rock star Francois van Coke. As in the first two seasons, the judges/coaches compile their teams with the best singing talent the country has to offer as Anele waits in the wings to support the performers' friends and family. Property Wars elevate to new heights as the housing auction market booms in the Phoenix desert. Savvy buyers have just minutes to look at a house and determine its value and what they are willing to bid for it. With the hope of claiming their own piece of the Phoenix market, Doug Hopkins, Scott Menaged, Lou Amoroso, Ed Rosenberg, Steve Simons and John Ray compete in their search for the deal of a lifetime. Using their gut instincts, experience, and existing rivalries, they square off in Property Wars with the hope of finding a diamond in the rough by flipping the homes and selling them for a profit. One big new character makes his debut this season: Sibonelo - Gabisile's son, played by Wiseman Mncube. He's described as a handsome and accomplished doctor. Same thing with Njeza, played by Nkanyiso Makhanya and "twerking schoolgirl" Nonka (Thuthuka Mthembu), who made their debut in December last year. Beverly and Murray move Erica into college where her roommate is also named Erica. Later, Beverly has a hard time letting go and ends up sleeping over in the dorm, much to Erica's dismay. Meanwhile, Adam tries to give Barry the perfect girlfriend, even trying to build one like in the movie Weird Science, as he embarks into his senior year. 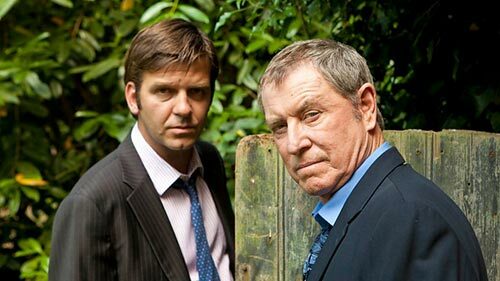 Midsomer Murders is back for the thirteenth series, set in England's most murderous county. DCI Tom Barnaby is working on his final cases before leaving the Police force, and leaving the denizens of Midsomer in the capable hands of his cousin, DCI John Barnaby. In the Season 13 premiere: it's the anniversary of the death of the head of a family bespoke tailoring business and surviving members of the family seem overburdened by grief - or is it guilt? One man's trash is Sarah Moore's treasure on Money for Nothing. Interior designer Sarah Moore meets people who are throwing out what they consider to be worthless goods. Recycling, up-cycling and repurposing is the name of the game. In each episode, Sarah takes three of these worn-out items and transforms them into valuable treasures, making Money for Nothing.